Guessing has closed and the answer is revealed. 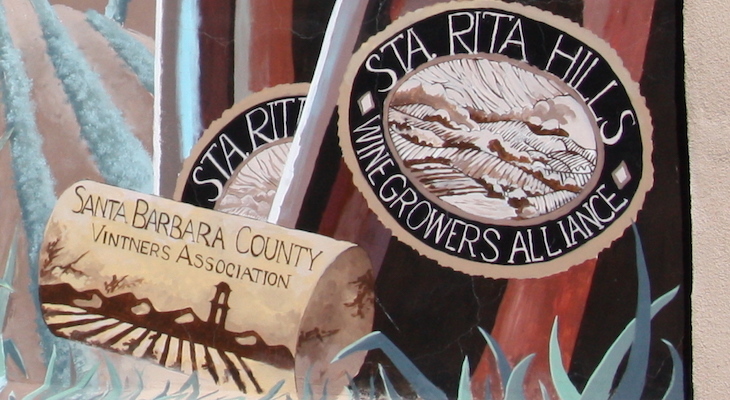 This colorful and tasty mural features the logo for the Santa Barbara County Wine Growers Alliance. 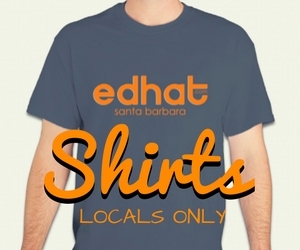 It's found in an area called "Art Alley," next to the Flower Valley Country Store at 111 South H Street, in Lompoc.